Will Forester Launch in Malaysia Sting U.S. Consumers? The popular 2016 Subaru Forester makes another global debut. What does it mean for U.S. consumers? Subaru’s Forester is a globally-popular car and it’s making another launch outside the company’s main markets. With supplies being tight for the top-selling Forester, what will it mean for U.S. consumers? Fuji Heavy announced the first Malaysian-built Subaru Forester will make its debut at the Bangkok International Motor Show next week in Thailand. This is good news for the U.S., Australia and European markets because it won’t take production away from the main plant in Gunma Japan where the Forester is produced. Supply is short around the globe for the popular Forester and many markets have had a hard time getting Subaru’s best-selling small SUV. 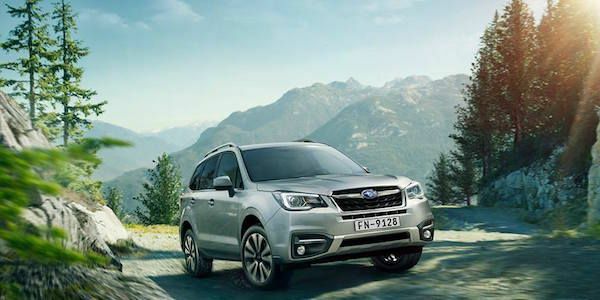 Now that Forester is locally-assembled in Malaysia, the multi-purpose vehicle will be sold in Malaysia, Thailand and Indonesia through the Subaru dealer network operated by Tan Chong International. Yet it won’t take away vehicles targeted for shipment to other global markets. Subaru ships the Completely Knocked Down (CKD) Forester from Japan to Malaysia in pieces and then assembles the SUV at the TCS plant. This creates jobs in the target country and makes it easier for Subaru to increase business in the Asian market. Introduction of the locally-built Forester is a key part of the company’s efforts to develop a strong business foundation in Southeast Asia. The locally-assembled Forester will go on sale in the 2nd quarter of 2016. It’s the second CKD vehicle Subaru makes at the Malaysia plant, following the Subaru XV crossover that has been produced there since December 2012. Thanks to Completely Knocked Down (CKD) production of the 2016 Subaru Forester at the Malaysian assembly plant, it frees up production capacity in Japan where the popular Forester is produced for the hot U.S. market. Supplies will remain tight in North America, but consumers won’t have to wait any longer to get their new Forester because of the Malaysian launch.